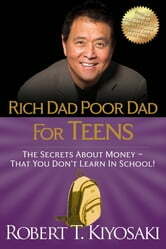 The Secrets about Money--That You Don't Learn in School! Veya kitabı 6800 Kobo Super Points ile alın! and the lessons that rich dad taught Robert. Like it or not, money is a part of our everyday lives and the more we understand it, the better the chance that we can learn to have our money work hard for us-instead of working hard for money all our lives. That starts with learning the language of money. why games can help you understand money, investing, and ways to choose your best path to financial freedom.